Wisconsin Gov. 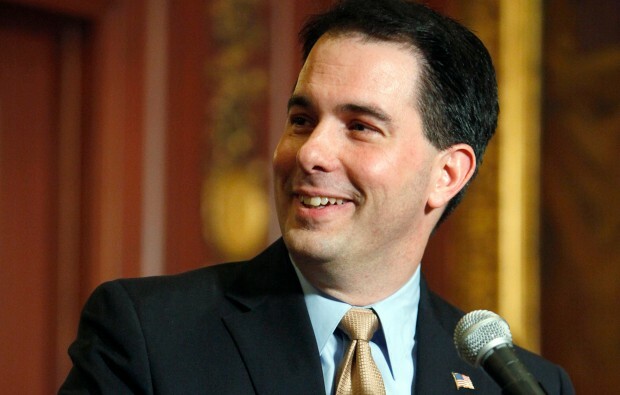 Scott Walker, whose presidential campaign began with promise came to a surprising and crashing thud yesterday when the former GOP frontrunner announced that he was ending his quest for the presidency due to a lack of cash and dwindling poll numbers. Walker, who has been elected governor three times–he won a bitterly contested recall election failed to transform his Wisconsin pit bull image to the national scene. Instead of the combative politician who successfully defeated labor union efforts to defeat him, Walker appeared soft-spoken and unprepared to do battle with fellow Republicans and the media. He struggled to get up to snuff on foreign policy issues and was far from the most polished speaker in the race. One of the most costly mistakes though was his lack of aggressiveness in the Republican debates. He spoke only when spoken to and was just too passive–especially during the free-for-all that broke out during the last debate at the Reagan library. Walker did make one right move. Firing Republican consultant Liz Mair. Mair is no conservative and had no business working for Walker. She showed her true colors after the announcement by unleashing a twitter storm as to why Walker failed. Mair has also become a favorite of Chris Matthews which is all one need to know about what kind of Republican she really is. In leaving the race Walker encouraged others to follow his lead and “clear the field” to more effectively fight current frontrunner Donald Trump. That is advice many of the candidates should heed–particularly those that are polling below 5 percent. Most of the candidates in the bottom rung have raised little money and have small to non-existent staffs and no real hope of winning the nomination and are wasting everyone’s time by continuing to chase a dream that they will never achieve. all this does is help the Democrats and make the GOP look silly and disorganized. The race right now is between Trump, Fiorina, Bush,Cruz and Rubio. That’s it. Everyone else is a non-factor and is just sucking up oxygen. But I doubt they will quit as their egos are bigger than their concern for what is best for the party. Chris Matthews called the GOP field a “clown car” and as it looks right now he isn’t far off.